The list of winner for the Pulitzer Prize 2018 was announced today and it is full of surprises. Pulitzer is known for awarding critical work and submissions that are not so commercial in the first place and have received acclaim from field experts. But despite this, history was made when Kendrick Lamar won Pulitzer Prize for music for his album DAMN which showcases multiple charts hits like Humble, To Pimp a Butterfly making him the first commercial artist to win a critical award. As the first non-classical or jazz artist to win Pulitzer Prize for music, Kendrick Lamar made history on Monday. The revered rapper is also the most commercially successful musician to receive the award, usually reserved for critically acclaimed classical acts who don’t live on the pop charts. The 30-year-old won the prize for DAMN., his raw and powerful Grammy-winning album. The Pulitzer board said Monday the album is a virtuosic song collection unified by its vernacular authenticity and rhythmic dynamism that offers affecting vignettes capturing the complexity of modern African-American life. He will also win a cash prize of $15,000. The Pulitzer board has awarded special honors to Bob Dylan, Duke Ellington, George Gershwin, Thelonious Monk, John Coltrane and Hank Williams, but a popular figure like Lamar has never won the prize for music. In 1997, Wynton Marsalis became the first jazz act to win the Pulitzer Prize for music which makes Lamar’s win extremely important. His platinum-selling major-label albums like “Good Kid, M.A.A.d city,” “To Pimp a Butterfly” and “DAMN.” have become works of art, with Lamar writing songs about blackness, street life, police brutality, perseverance, survival, and self-worth. His piercing and sharp raps helped him become the voice of the generation, and easily ascend as the leader in hip-hop and cross over to audiences outside of rap, from rock to pop to jazz. He’s also been a dominating on the charts as well, having achieved two dozen Top 40 hits, including a No. 1 success with “Humble,” and he has even collaborated with the likes of U2, Taylor Swift, Imagine Dragons, Rihanna and Beyonce. 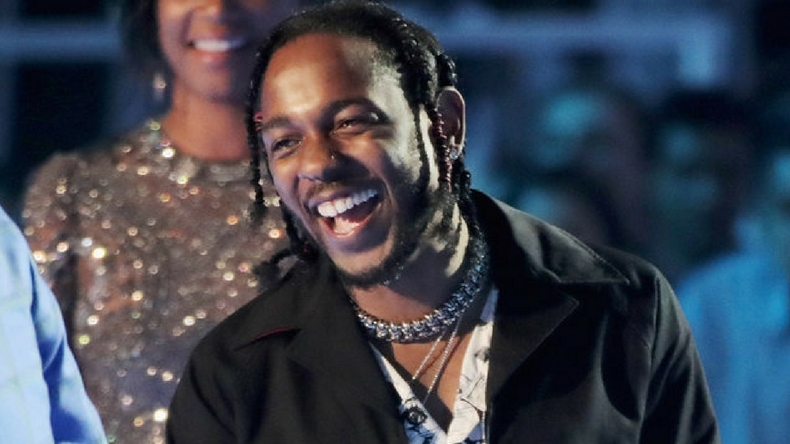 Lamar’s musical success helped him win 12 Grammy Awards, though all three of his major-label albums have lost in the top category — the album of the year. “DAMN.,” released on April 14, 2017, won five Grammys, including best rap album, and the album topped several year-end lists by critics, including NPR, Rolling Stone, Pitchfork, BBC News, Complex, and Vulture. Finalists for the Pulitzer Prize in music were Michael Gilbertson’s “Quartet,” which debuted last February at Carnegie Hall, and Ted Hearne’s “Sound from the Bench,” a 35-minute cantata released last March.